On August 16, 2016 at approximately 2:50 p.m. the North Bergen Police Department received a telephone call from an employee of the Popular Community Bank, located on 85th Street and Kennedy Boulevard. The employee advised our dispatcher the bank had just been robbed by an unknown male. The bank employee gave the dispatcher a description of the suspect and a direction of flight which was relayed to nearby Officers. Det. Roberto Maldonado and Det. Hector Botello of the Major Case Unit were patrolling the immediate area yesterday and today working on a hunch a bank in the area may be robbed based on a pattern developed since April. Their hunch paid off and led to the arrest of Neal C. Hornung of Belleville. Hornung, was a suspect in the bank robbery of TD Bank on 79th Street and Kennedy Boulevard in April and the very same Popular Community Bank on 85th Street and Kennedy Boulevard in June. Based on surveillance footage from the previous robberies, along with additional evidence which linked both a bicycle and a vehicle to Hornung, the Detectives were able to spot him fleeing from the bank. As the Detectives spotted Hornung, he fled in an older model Ford Taurus wagon, which was previously identified in the other robberies. Hornung then led the Detectives on a pursuit which ended on Broad Avenue in Fairview. The pursuit ended with no motor vehicle accidents or injuries when Hornung chose to voluntarily end the pursuit and surrender. Hornung was found to be in possession of the money stolen from the bank in plain view on his front passenger seat during the stop. Hornung is currently being processed on charges for today’s bank robbery. North Bergen Police Detectives and the FBI are working cooperatively to charge Hornung with the two previous bank robberies. 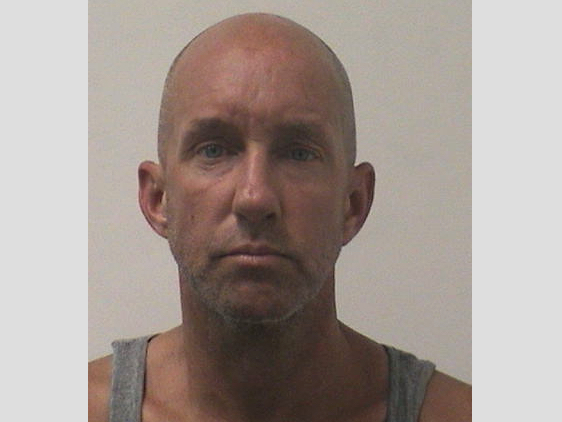 Hornung is a twelve time convicted felon and is currently on parole after being incarcerated since 2005. Hornung was released from prison in April just one week prior to the first bank robbery. The North Bergen Police Department is asking that if anyone has any information in regard to the three bank robberies, please contact the Detective Bureau at (201) 392-2092.